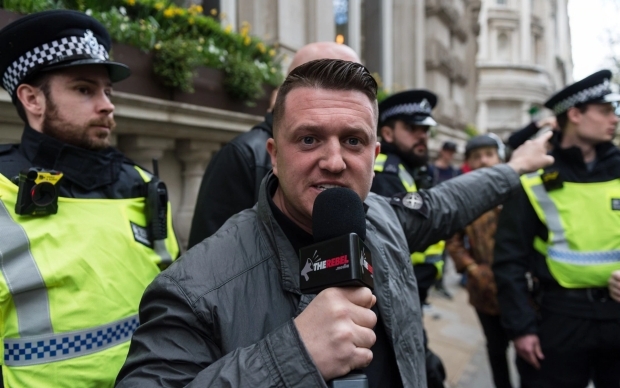 BCF : Tommy Robinson, whose real name is Stephen Yaxley-Lennon, hinted at running for a seat in parliament with his new party over the weekend, at the Brexit ‘betrayal’ rally in London. “When I went to the House of Lords with Lord Pearson [for lunch after a court hearing] and I saw the reaction, I saw MPs under parliamentary privilege saying disgraceful lies about me, I sat for the first time and thought one day I’ll be sitting in there amongst you,” Robinson said. The rally was attended by thousands of Brexiteers looking to pressure the government into honouring Brexit and accepting a no-deal scenario if necessary. 'Why Can't People Come Out of Prison and Resume Their Lives? ': UKIP Chief Defends Robinson. Moreover, he admitted to having never voted in an election, but insisted his supporters are in need of a “political voice” and called for the launch of a “political mass movement” in Britain. Following his contempt of court hearing and eventual release from prison, Robinson has become increasingly close with the UK Independence Party (UKIP), with the NEC granting him membership, making an exception to party rules preventing current or former members of proscribed organisations from joining.